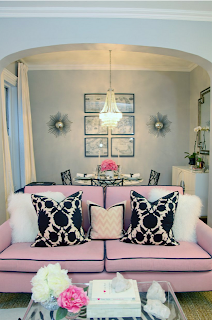 I am LOVING this super girly, chic and a little eclectic feel of this living room and dining area. 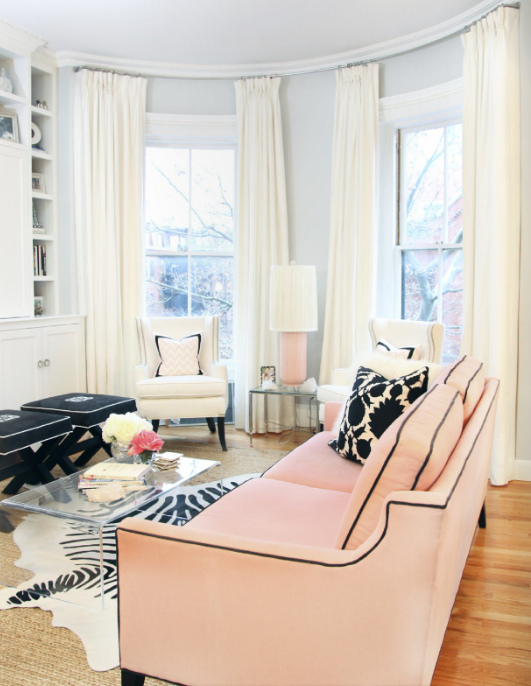 And a pink couch? LOVE! Don't think my hubby would EVER go for that. He'd say "gag." 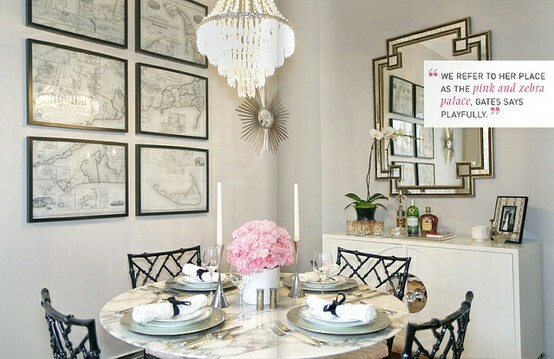 That dining area is GORG-E-OUS! Now only if the kitchen is shown to see the flow of colors. gray cream gold black white and maybe I can throw in subtle splashes of pink. NOTE TO SELF: Do not look at Pinterest continually. You will constantly change your mind on every decor item, colors, ect. Not good for the budget or your state of mind. Will drive you crazy nuts because you can't decide!